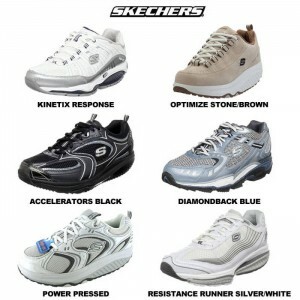 Women’s Skechers Shape-Ups Sneakers, over 75% off at Tanga! Sale Good Today Only so Hurry! I have a pair of these shoes and absolutely love them!! Make staying fit easy with a huge savings on Skechers Shape-Ups Sneakers from Tanga. Highly reviewed, Shape-Ups are renowned for their comfort and leg-toning design. Just walk around in them for a great workout! With 6 styles marked at over 75% off, these same shoes are regularly priced around $99.99 on Amazon.